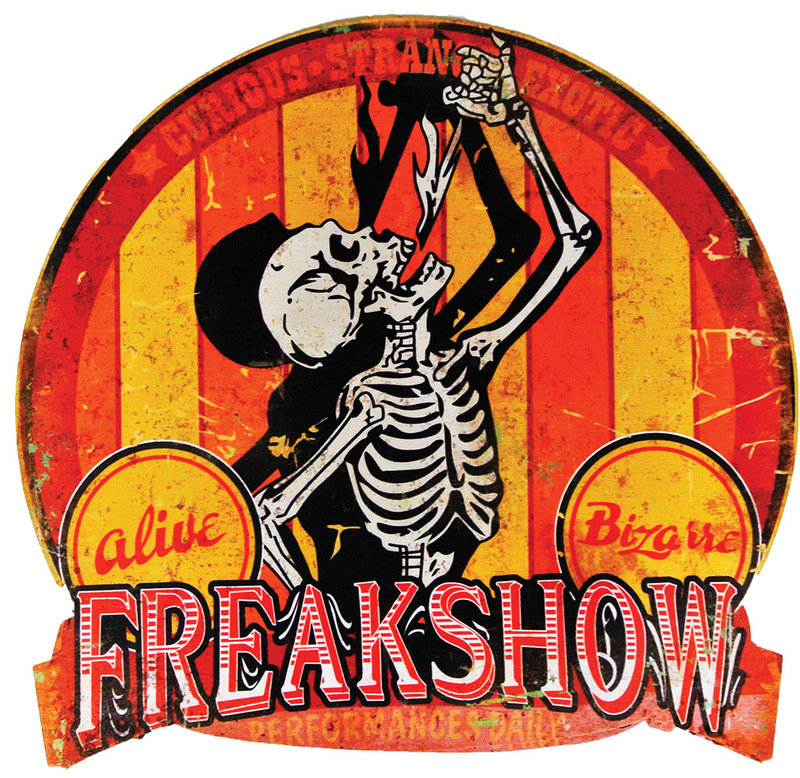 This way to the Freak Show! Metal sign hearkens back to the old carnival days where oddities were the big draw! Sign measures approximately 19.5in x 19.1in x 0in. Metal sign.